Help us raise money for Irene Reither by collecting your box tops today! Check out our great box top tracking board located just outside the gym. There’s a Trojan Mascot assigned to each class. 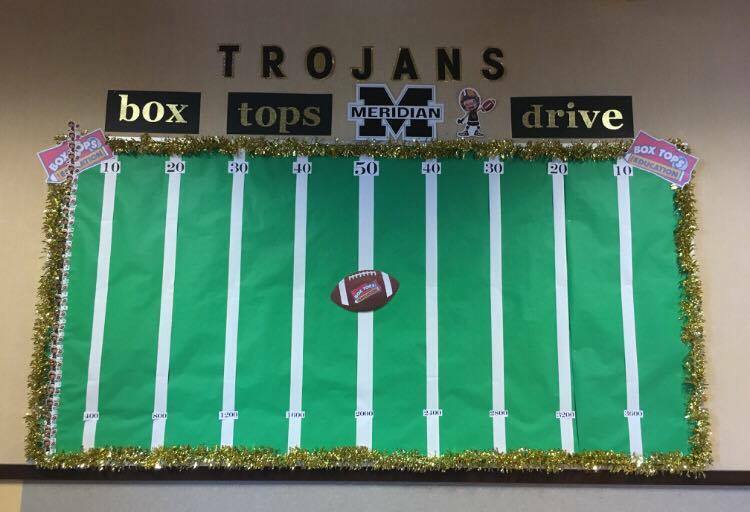 As the number of box tops the classes collect increases, the Trojan will drive down the field towards our goal. The class who collects the most box tops for the year receives an end of the year doughnut party! Our goal this year is to raise $2,000 via Box Tops for Education. Students are provided with fun sheets to glue their box tops to. Students can return the sheets with their box tops to their class when full. Remember, box tops do expire. Be sure and send your box tops in before it’s too late! Extra sheets are available by the class box top collection bags or in the office. 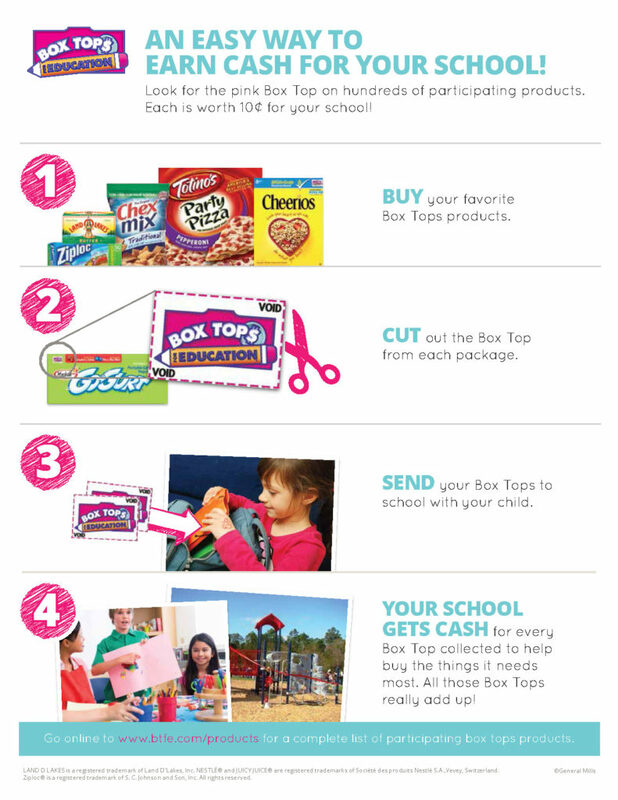 View the visual below to learn more about Box Tops for Education and how the program works. 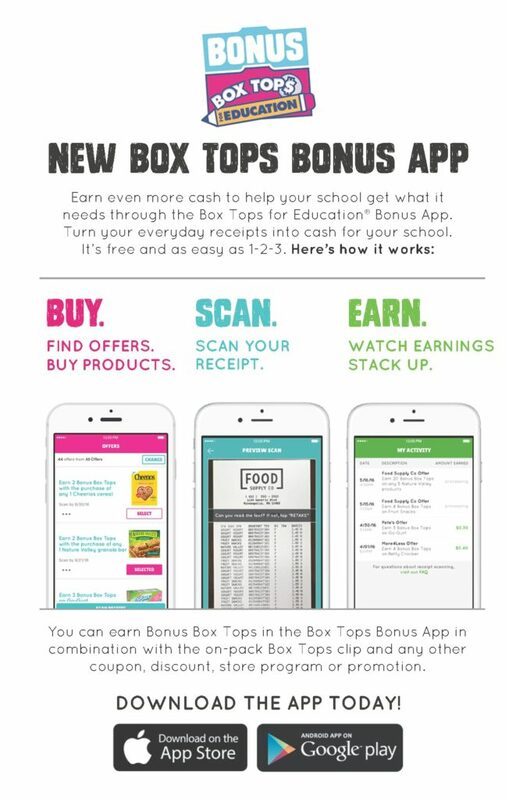 If you want to go one step further in helping us raise funds Box Tops for Education also have a great app available. Click the image below to download and sign up today!